Marvin Hall, head of Halls of Learning (right) explains how the campers have to create their own code to control the movements of the robots to Minister of State in the Ministry of Education, Youth and Information, Floyd Green and Supreme Ventures Communication Officer, Stephanie Todd (left). The camp exposed 100 primary school students to robotics, computer programming and other STEM subjects from August 13 to August 24. 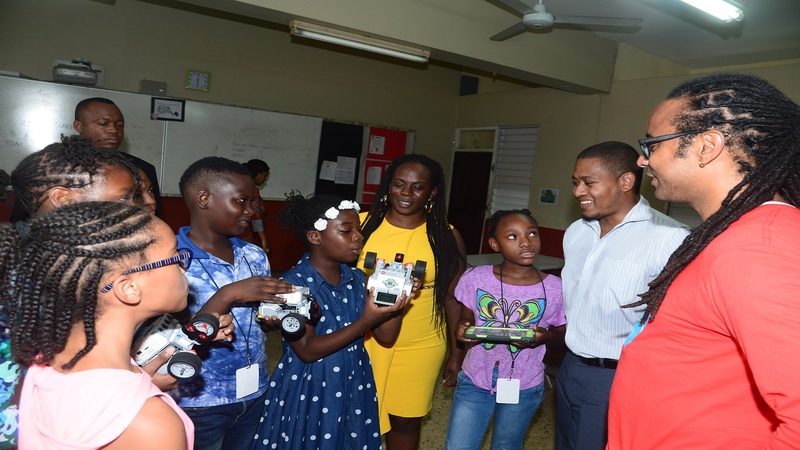 Minister of State in the Ministry of Education, Youth and Information, Floyd Green has given the 2018 staging of the Supreme Ventures Junior Creators Robotics Camp his stamp of approval. 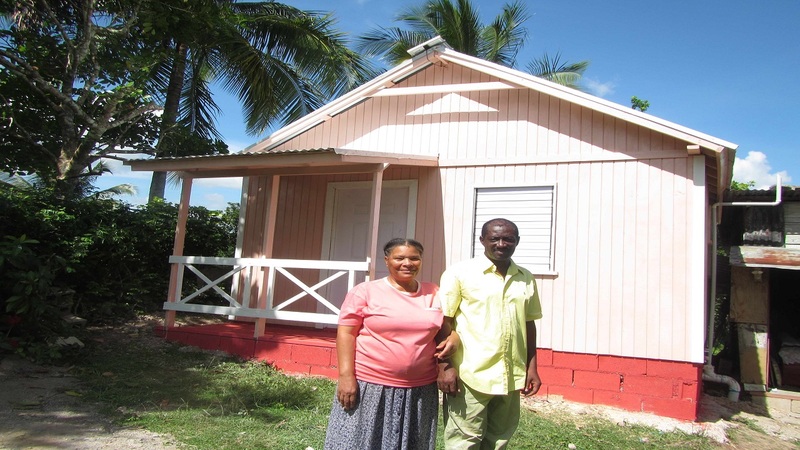 The minister visited the camp, held at Campion College on Thursday, August 23. The camp, which was in its third staging, was put on by SVL, and facilitated by Marvin Hall of Halls of Learning. It focused on sparking an interest in STEM subjects and exposing 100 primary school students to the fun side of science with the use of drones and robots. They were introduced to computer programming and how to use coding to automate robots and other practical applications of science theory. Green said he was impressed that the camp has managed to capture the imagination of its young campers, aged eight to 11, year after year, by keeping up with technology. “I am completely impressed by it, this is my third time coming and one of the things that I really like is that the camp keeps apace with what is happening in the world, every year there is something new to engage the children. But what impacts me the most is how the camp makes the children feel, how excited they are and how comfortable they become with the technology,” he said. 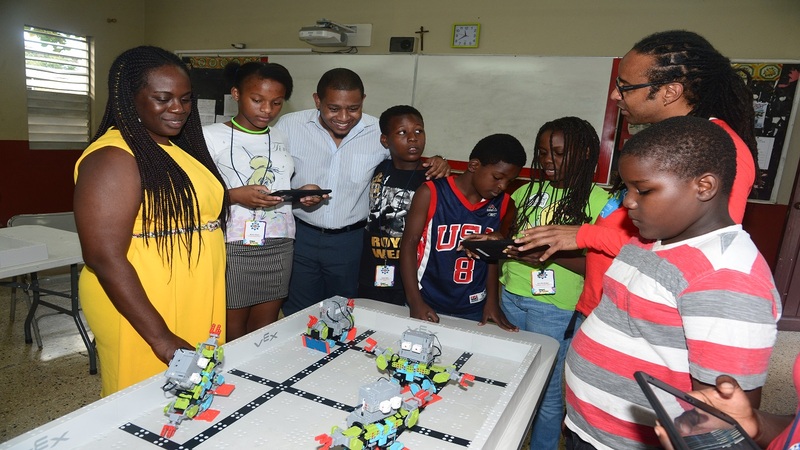 “We want more of our Jamaican children to become comfortable with the technology, comfortable with programming so we can create more of our own apps and programming and we move from utilizing robots to making our own. 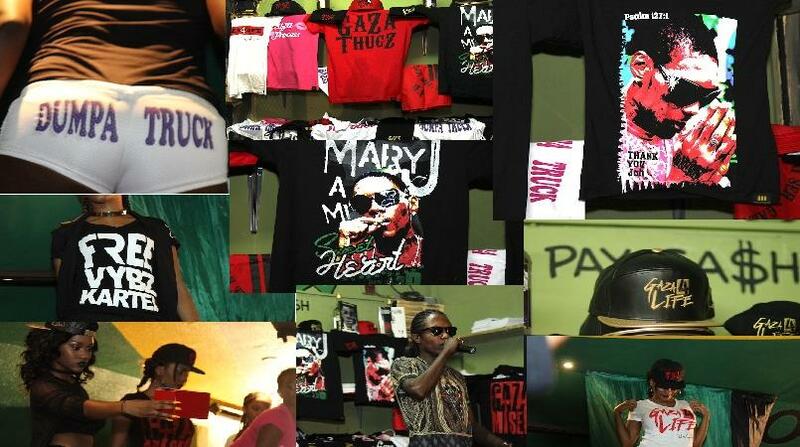 I am very happy that Supreme Ventures keeps doing this, it is critical,” he added. “In the transition in our education system to move from rote learning and studying for exams like GSAT to move to what we’re doing with PEP, camps like this will really help. So these kids already understand that it is not just about getting the information but solving problems. With the drones they had to see where they were going wrong and work out in their head what they needed to do to correct the mistake, and that’s what we want to see,” he said. Campers show off their robots to Minister of State in the Ministry of Education, Youth and Information, the Hon. Floyd Green during his visit to the Supreme Ventures Junior Creators Summer Camp on Thursday, August 23. Looking on are Supreme Ventures Communication Officer, Stephanie Todd (left) and Marvin Hall, head of Halls of Learning (right). “At this point, with this being our third staging, we are looking to make as lasting an impact as possible on every single child that comes to our camp. That’s why we introduced a self-empowerment element with RISE Life to give them the tools to become better, more rounded individuals. We also introduced the scholarship because we want to give them the best start to a new school year and show them that consistent work, pays off,” she said. Camp participants each week also worked towards a $50,000 scholarship. 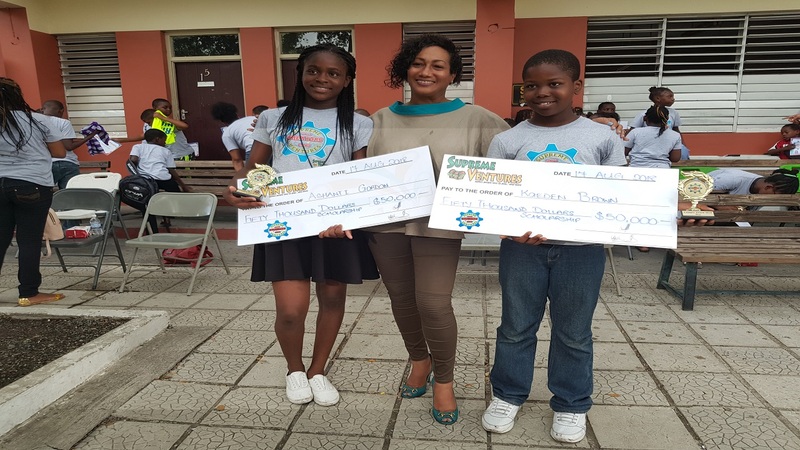 Based on their performance during the camp, each week the top achieving boy and girl will be chosen to receive the cash scholarship and a trophy for their efforts. All campers also received a back-to-school ‘swag bag’ filled with stationery and a $5,000 book voucher to go towards their preparations for the new school year.